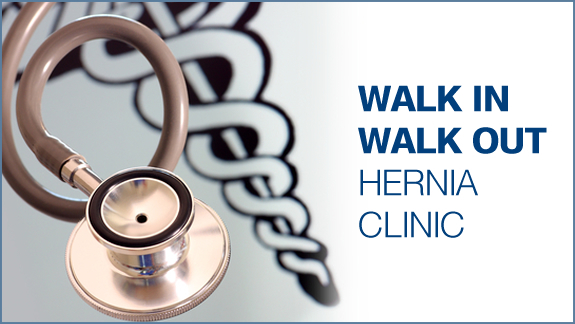 Mr Bhutiani started the first ever Walk In Walk Out Hernia (WIWO) clinic in the NHS at ACAD Unit of NWLH NHS Trust. This clinic gives patients a choice to have their operation under Local anaesthesia on the date of their choice and by visiting the hospital only once for both consultation and operation. It is ideally suited for patients with other illnesses (heart problems, diabetes, hypertension etc), which makes it risky for them to have a general anaesthesia. It also eliminates the risk of contracting hospital borne infections such as MRSA besides giving the patients a chance to recuperate in the comfort of their home and with their loved ones. This clinic has been highly acclaimed by patients, their families and their general practitioners. It is has been recommended to commissioners of 18 weeks pioneering group, so as to be introduced nationally. Mr Bhutiani has recently shown that by use of local cooling and a buffered local anaesthetic agent, prior to its injection significantly reduces the discomfort perceived by the patient when the local anaesthetic is administered. He is continuing to find ways and means to make the injection of local anaesthesia as pain free as possible. Having seen that increasing number of elderly patients were contracting hospital borne infections such as MRSA, even after simple operations like hernia repair, Mr Bhutiani, started the First Day Care Unit in NWLH NHS Trust and has repeatedly shown that Day Surgery is the way forward, to reduce the risk of elderly patients contracting hospital borne infections in patient needing intermediate elective surgery. Children are generally terrified of having an operation. This is made worse if they come to know that they have to stay in the hospital for even one night. Over the last decade, while advancing the work in Day Care Unit, Mr Bhutiani has shown that almost 90% of the routine elective operations in children can be performed safely in Day care setting, with no need for in patient admission. He has seen children accept this more readily than the surgery when it was performed as an in-patient. For a number of operations such as removal of gall bladder, bilateral and recurrent hernias and hiatus hernia, Mr Bhutiani feels laparoscopic (Key hole) surgery is revolutionary. In safe hands it is an excellent alternative to conventional surgery. Again he does these operations on a Day care setting, which almost eliminates any risk of hospital borne infections.